Harvard University Press, 9780674004160, 346pp. 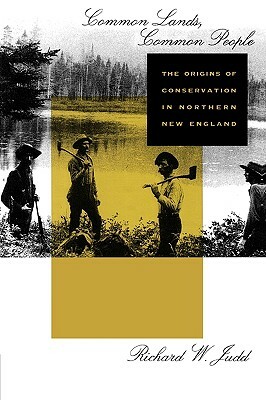 In this innovative study of the rise of the conservation ethic in northern New England, Richard Judd shows that the movement that eventually took hold throughout America had its roots among the communitarian ethic of countrypeople rather than among urban intellectuals or politicians. Drawing on agricultural journals and archival sources such as legislative petitions, Judd demonstrates that debates over access to and use of forests and water, though couched in utilitarian terms, drew their strength and conviction from deeply held popular notions of properly ordered landscapes and common rights to nature. Unlike earlier attempts to describe the conservation movement in its historical context, which have often assumed a crude dualism in attitudes toward nature--democracy versus monopoly, amateur versus professional, utilitarian versus aesthete--this study reveals a complex set of motives and inspirations behind the mid-nineteenth-century drive to conserve natural resources. Judd suggests that a more complex set of contending and complementary social forces was at work, including traditional folk values, an emerging science of resource management, and constantly shifting class interests. Common Lands, Common People tells us that ordinary people, struggling to define and redefine the morality of land and resource use, contributed immensely to America's conservation legacy.